STOCKING densities on live export voyages will be reduced, and Bos Taurus cattle sourced from south of the 26th parallel – the Northern Territory/South Australian border – will be restricted from crossing the equator from May to October, under changes recommended in the review of Australian Standards for the Export of Livestock (ASEL) released this afternoon. 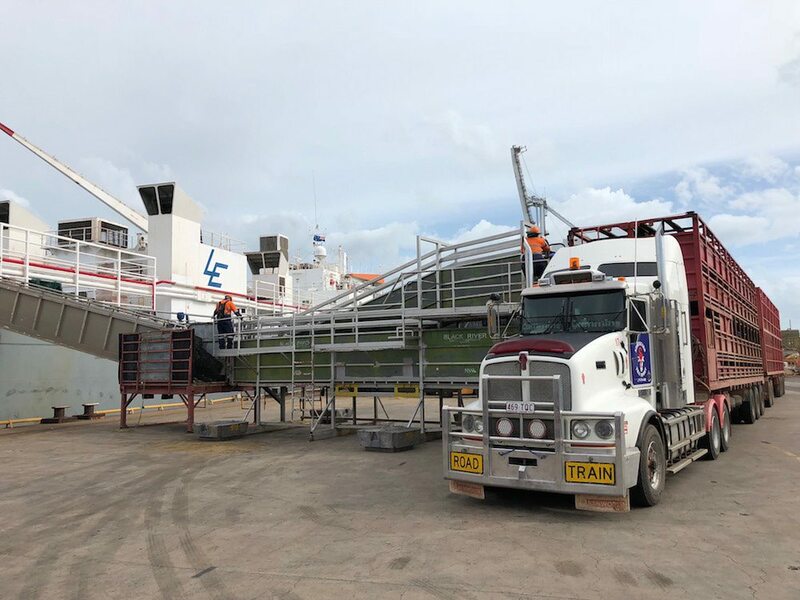 The changes are among 49 recommendations stemming from the Federal Government’s review of ASEL for sea transport, which scrutinised the export process from preparation through to the management of livestock on-board vessels. In releasing the review, the Department of Agriculture and Water Resources says it has accepted all 49 recommendations, either in full or in principle. The changes will take affect from May this year. To read the full 49 recommendations and the DAWR response to each click here. An allometric approach to calculating stocking densities, which will require more space for livestock on most exports. An alternative stocking option for short cattle voyages, where there is proven and continued high performance by the exporter and the vessel. A Heat Stress Risk Assessment (HSRA) be applied to all voyages that cross the equator. This recommendation will require further model development to cover additional routes. Until then, HSRA will continue to apply to voyages to or through the Middle East. Enhanced sourcing and preparation requirements to support animal welfare outcomes. The review recommends preventing Bos taurus cattle from an area of Australia south of latitude 26° being sourced for export on voyages that will cross the equator between 1 May to 31 October, unless an agreed livestock HSRA indicates the risk is manageable. Until the HSRA model has been further developed to include all destinations across the equator, the review says the provision should continue to apply to the Middle East. The DAWR says it will now commence discussions with industry to develop a HSRA model for additional markets beyond the Middle East. The ASEL set requirements livestock exporters must meet to ensure animals are fit to export from Australia, and their health and welfare is managed throughout the export voyage. The Federal Government said the ASEL review was undertaken to ensure the standards for live exports are fit-for-purpose and reflect the latest science. The review was overseen by an independent Technical Advisory Committee, chaired by Steve McCutcheon, and including experts in animal health and welfare, regulatory design and the livestock industry. The committee considered scientific literature, advice from a Stakeholder Reference Group made up of industry representative bodies, submissions provided through three rounds of public consultation, reports from independent observers on recent voyages and other relevant information. The standards are being updated with the committee’s recommendations. The department will implement the recommendations this year, with increased space allowances on vessels required as soon as practical. The department has committed to conducting regular consultative reviews of the standards based on science, evidence and international practice. This will contribute towards continuous improvement of the standards and animal welfare outcomes. For the full report and the departmental response visit http://www.agriculture.gov.au/animal/welfare/export-trade/review-asel. Coinciding with the release of the ASEL review, agriculture minister David Littleproud also announced that Ross Carter has started in his role as the Interim Inspector-General of Live Animal Exports (IIGLAE) to provide independent oversight of DAWR as the live export industry regulator. Mr Littleproud said Mr Carter would bring impartiality and extensive experience to the role. “Mr Carter is well-placed to oversee live animal export regulation, with some 20 years’ experience in regulatory practice, public administration and related academic studies,” Minister Littleproud said. “I said I would reset the live export industry, and this is another important step in delivering on that promise. “An Inspector General was a recommendation of the Moss Review, and now it’s done. “I’m glad we have someone stepping into this role with fresh eyes. “Mr Carter will audit and review the systems and processes that underpin the department’s regulation of livestock exports. “This oversight will improve confidence for our farmers, industry and the community in the regulation of livestock exports. Correction to first paragraph – Bos Taurus cattle sourced from below latitude 26 cannot cross the equator UNLESS AN AGREED HSRA INDICATES THE RISK IS MANAGEABLE. Thousands of Bos Taurus cattle have been successfully exported to the Red Sea under the existing HSRA model and will continue to be allowed to.